I work for an energy company and as a result I often get asked about how to save money on your energy bills. I did spend nearly a year advising people on how to reduce their bills within their homes by reducing consumption so I am well placed to write a blog post about it for Big Energy Saving week. 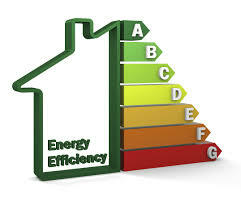 Saving energy is very important in reducing our energy bills and reducing the effects of climate change. When I was visiting homes offering advice I used to be continuously shocked about how wasteful people were with their energy usage. Fuel poverty is a real problem that affects millions of people. Using energy more efficiently can help reduce fuel poverty. Egypt’s former petroleum minister Osama Kamal said global crude oil prices are set to fall drastically, predicting a further erosion of as much as a third in the coming days. “I expect crude oil prices to touch $60 per barrel. This will impact several economies,“ said Kamal, who was in Mumbai to address the top Aditya Birla Group executives. India is among the major investors in Egypt, with about a dozen firms employing over 35,000 locals there. “The Aditya Birla Group has one of the world’s largest carbon black manufacturing units in Egypt. There is also a newly constructed polyester plant with a production capacity of 420,000 tonne per annum,” he said. London: Brent crude fell to a fresh 47-month low on Wednesday, dipping below $84 a barrel as faltering global growth curbed demand for fuel at a time of heavy oversupply. Oil saw its biggest daily fall in more than three years on Tuesday after the West’s energy watchdog slashed its forecasts for world oil demand for this year and 2015. Core members of the Organization of the Petroleum Exporting Countries (OPEC) appear to be focused on fighting for market share rather than on cutting production to shore up prices. Weak European stock markets has helped extend the rout. Delhi/Tokyo: Organization of the Petroleum Exporting Countries (OPEC) must keep cutting prices to displace competing supplies from Latin America and West Africa, Indian refiners said. Saudi Arabia, Iran and Iraq, which account for about half the output from the OPEC, will sell crude to Asia next month at the biggest discounts since at least January 2009. Hindustan Petroleum Corp. and Mangalore Refinery & Petrochemicals Ltd. say it’s not enough to undercut the alternatives. The highest US output in almost 30 years is reducing America’s demand for oil and giving consumers in Asia a greater choice of suppliers, from Venezuela to Alaska and Nigeria. The glut has driven futures into a bear market and prompted OPEC members to cut prices to defend their market share.